The Cosmopolitan Las Vegas hotel has signed a deal with Reviv, a global provider of intravenous (IV) nutrient therapies and booster shots, to open an “IV spa” at the resort. Set to open later this year, the Reviv IV Wellness Spa will offer guests a selection of intravenous “therapies”, designed to treat a variety of ailments – from dehydration, inflammation and vitamin deficiencies to the aftereffects of a night out in Las Vegas. Facilities at the Reviv at The Cosmopolitan will include full body massage chairs, private and group treatment areas and aromatherapy areas. Treatments will be available in either a private treatment room onsite, or in-room for guests staying at The Cosmopolitan. The new IV spa will add to the existing spa and wellness offer at the Cosmopolitan, which includes the 40,000sq ft (3,700sq m) Sahra Spa & Hammam. A spokesperson for the hotel said: “IV infusions offer fast relief of common conditions by replenishing fluids and essential elements like vitamins, electrolytes and antioxidants directly into the body and straight to vital organs. The Reviv IV Wellness Spa at the Cosmopolitan will be the third Las Vegas site for Reviv – it also operates clinics at the MGM Grand and the Palazzo Venetian resorts. Intravenous treatment ‘bars’ are growing in popularity in the US, offering customers ‘hydration therapy’ for ailments ranging from acute illnesses to the more common hangover. 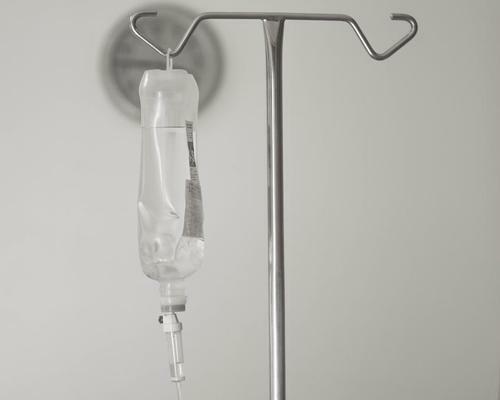 Customers are connected to an IV bag containing a saline solution mixed with vitamins and other ‘wellness’ ingredients for around 30 minutes. Las Vegas has been at the heart of the trend and one of the pioneers of the IV services was a mobile hydration therapy centre called 'the Hangover Heaven bus', which launched in Las Vegas in 2012. The bus cruised the Las Vegas Strip on Saturdays, promising to rid revellers of their hangover symptoms. The Cosmopolitan Las Vegas is owned by the Blackstone Group and is operated as part of Marriott’s Autograph Collection.